The time of year is upon us when we give thanks for good fortune and celebrate with friends and family as well as employees, business partners, and customers. But the holidays also present an opportunity to help those who are less fortunate. At Incentive Concepts, we’re known for delivering the best, better to our customers, but that same passion extends to our involvement with several charities located in the Greater St. Louis community. 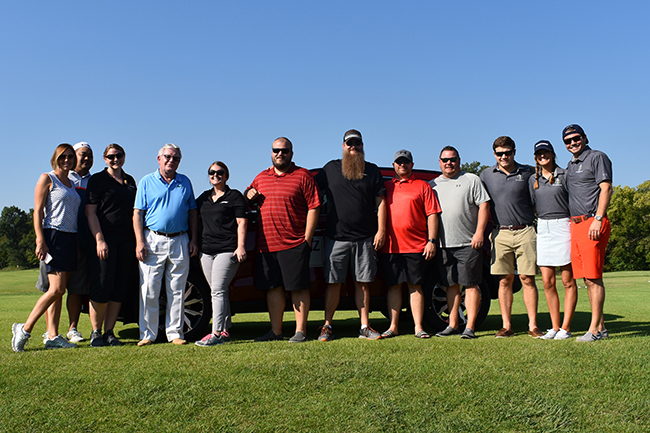 Each year, Incentive Concepts President and CEO Joe Reinberg, along with his family, organizes the Jeff Reinberg Classic, a charity golf tournament that honors Reinberg’s father, Jeff Reinberg, who served as Incentive Concepts President and Board Chairman. 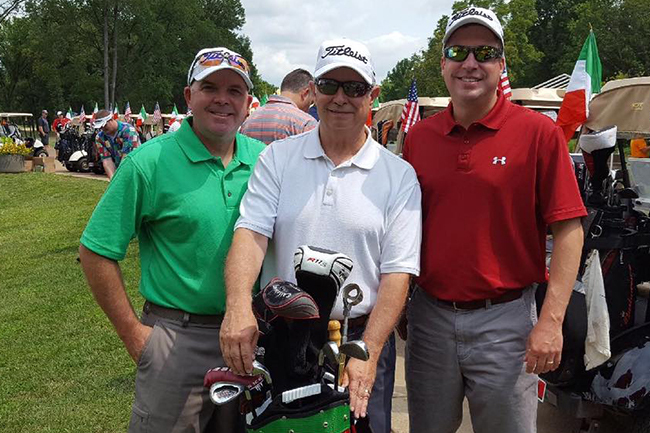 Proceeds from the tournament benefit The BackStoppers, Inc., an organization that provides financial assistance to the families of fallen and disabled first responders. Pooper Troopers conducts an annual diaper drive for families in need. The 2018 drive brought in nearly 265,000 diapers. Incentive Concepts provides Pooper Troopers with warehousing support, and several team members donate supplies, all of which are donated directly to the Saint Louis Crisis Nursery. The St. Louis Area Foodbank is on a mission to ensure no family goes to bed hungry. 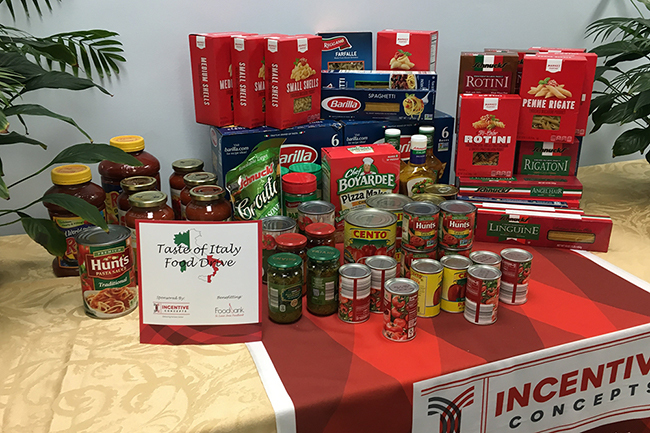 To support their efforts, Incentive Concepts is hosting a Taste of Italy Food Drive, an Italian-themed collection with the goal of providing more than 500 non-perishable food items to the foodbank. The Italian Open Charity for Children, an annual charity golf tournament and gala, gives all funds raised to St. Louis’ less fortunate children. Incentive Concepts serves as a sponsor and donates prizes, and several team members participate in the event each year. Friends of Kids with Cancer provides educational, emotional, and recreational support to families with a child undergoing cancer treatment. This year, Incentive Concepts will be donating to the organization in honor of dozens of our key customers, partners, and brands. The Little Bit Foundation – This organization is committed to breaking down barriers to learning for children living in poverty. Friends of the Saint Louis University Liver Center – This group raises annual funds to support basic and clinical research for liver disease treatments. Gateway Pet Guardians – Gateway is an emergency pet shelter that houses pets from the streets of East St. Louis and surrounding areas. The Buddy Fund – The Buddy Fund makes sports opportunities available to children who wouldn’t typically have access. Incentive Concepts is a family-owned business and its commitment to giving back is a reflection of the company’s values of better service, better business practices, and community support. To find out more about our involvement with each of these charities or to get involved with our efforts, call us at 888-862-9283 or contact us today.